For rough urban environments and gravel road adventures. Aggressive all weather tread offers improved traction for choppy pavement and wet conditions while the raised side knobs provide extra grip in gravel and loose terrain. Available in 700 x 32, 35, 38 and 40c widths and a variety of casing, tread compound and puncture shield options. 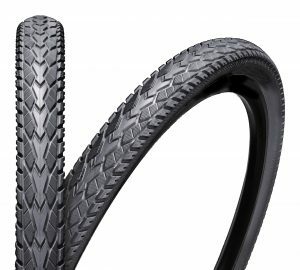 This entry was posted in Urban Tires, Velowurks and tagged Bicycle, bike, City, Commuter, gravel, gravelbike, tire, Tires, Urban on September 27, 2016 by Matt Karaus. High performance urban tire for 29 and 27.5 inch wheel sizes. 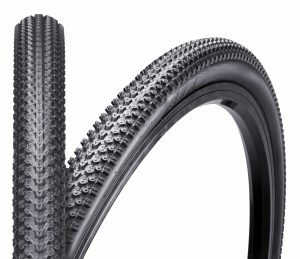 Slick tread pattern keeps you rolling fast. Choose either wire bead or folding aramid bead with Advanced Puncture Shield system. 30 and 60 TPI casing options. 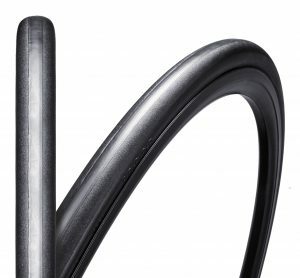 This entry was posted in Urban Tires, Velowurks and tagged Bicycle, City, Commuter, metro, puncture protection, Tires, townie, Urban on September 27, 2016 by Matt Karaus. Directional all weather tread pattern quickly transports water away from the contact patch reducing hydroplaning for improved control in wet conditions. Fast Traction compound provides low rolling resistance on dry pavement while increasing durability. Available in 26″ and 700c wheels sizes with Advanced and Ultimate puncture protection options. 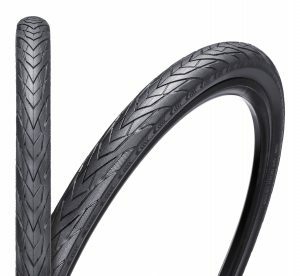 This entry was posted in Urban Tires, Velowurks and tagged Bicycle, City, Commuter, flat protection, puncture protection, street, tire, Tires, Urban on November 7, 2013 by Matt Karaus.